I have been doing Macro photography since last 1 year and have seen the insect molts multiple times. 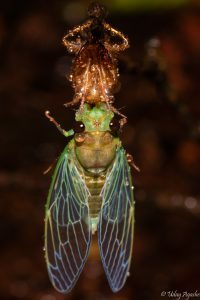 Check this picture of “molt of cicada”. On first look, it does appear to be an insect itself; at least that is how I found it. 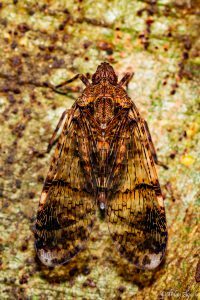 Took me some time to understand that although the look is exactly the same, it is only the outer skin of the insect that I was looking at and not the insect. That intrigued me to look into more details. Here’s what I found out. 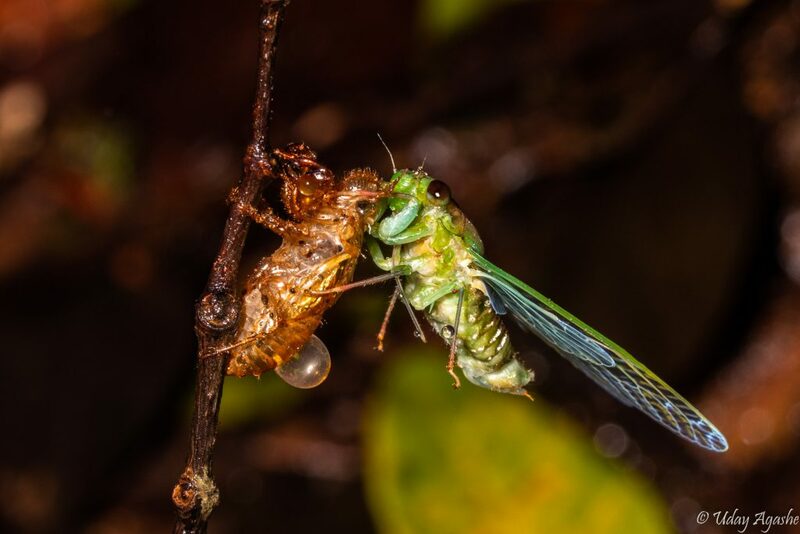 In simple terms, “Molting” is a process of growth in the insect size. If we look at our own growth from child stage to adult, our skin grows bigger as we grow in size, it is a seamless process happening over a period of 20 odd years (it’s a different aspect that our skin actually keeps growing all thru, especially in the tummy region… but that is entirely different matter, beyond my understanding). For insects, this cannot happen. 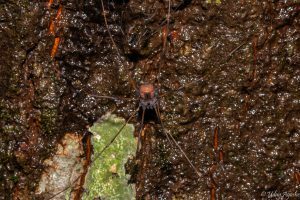 Their exoskeleton (name given to their outer skin) being a very hard portion, cannot grow in size. The objective of exoskeleton is to protect their otherwise soft body and hence it has to have that hardness. Given this problem, nature found its solution that is probably evolved over hundreds or thousands of years. The process of natural-selection or mutations or whatever the scientists call it, gave the insects their ability to overcome this problem. Let me try to explain this conceptually (will try to get some relevant pictures later if this is found to be too technical). The growth in insects happen in increments with each increment ending with molting (process of shedding the hard exoskeleton). Insect exoskeleton has 3 layers. Outermost layer (called cuticle) is very hard (besides protection, it also helps the insect muscle to gain some rigidity). Under that is a layer called “epidermis”. This layer is responsible for creating a new cuticle when the time is ripe. Under that is a layer called “basement membrane”, this membrane is the one that separates the insect’s exoskeleton from its main body. In actual molting, the middle layer separates itself from outermost layer. Then it forms a new protective layer around the entire body, it also secrets chemicals that helps in breaking away from the old cuticle (outermost layer). The protective layer then forms the new cuticle (although not as hard as the original). 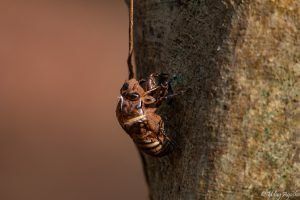 After this by way of muscular contractions and air-intake, the insects whole body swells (grows in size), this results in splitting the remains of the old cuticle. The new cuticle starts hardening and the bug squeezes out of its former body. Obviously the process is lot more complex than what I mentioned here but in principal this is what happens with the insect body. During the initial hours, while the exoskeleton is still getting hard, the insect is vulnerable. And during that period it continues to swell and expand. For some hours, the entire body is pale in color but as blood starts circulating in the entire body, the insect regains its original shape. Within few days, it kind of emerges in its larger size. Something like an enlarged photocopy of self.